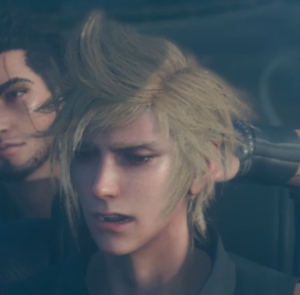 Prompto's new diseño. 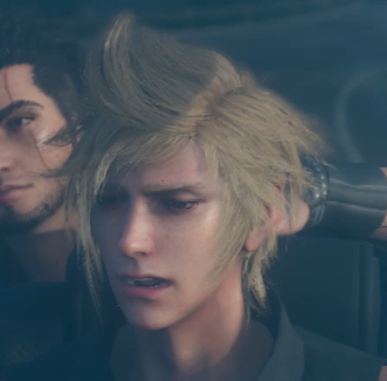 and gladio all up in the corner.... Wallpaper and background images in the Final fantasía XV club tagged: photo prompto screencap crop trailer 2014. This Final fantasía XV photo might contain retrato, tiro en la cabeza, primer, headshot, primer plano, en la cabeza, and closeup.